You save -62% from the $185 regular price! 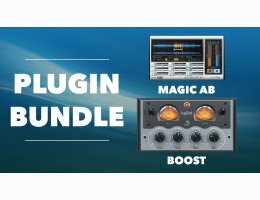 While Sample Magic spent the last 10 years creating the world's best sounds and samples for your music, they have also been developing award-winning plugins used by thousands of producers around the world. Now they are giving you the chance to own all three of their plugs in one special bundle and when you buy you get three for the price of two ! Find out more about the plugins below. Magic AB is an easy-to-use, powerful utility plugin that allows you to switch between the audio you are working on in your DAW and up to nine reference tracks at the click of a mouse. With A/B referencing playing an essential part in production, mixing and mastering, AB offers an infinitely faster, easier and more accurate method to compare multiple audio streams to those currently available in any DAW. 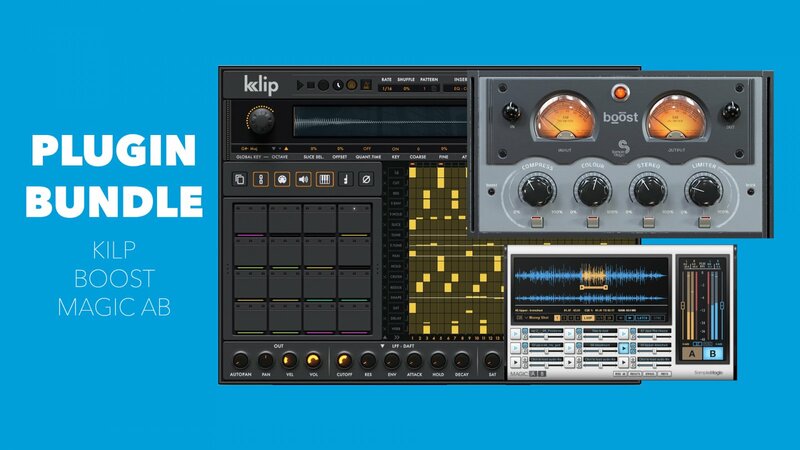 Klip is a powerful instrument and drum machine for Native Instruments' Kontakt Player (required for authorization and use) that pushes the threshold of electronic music production, utilising an expansive parameter editing matrix and comprehensive mixer functionality.